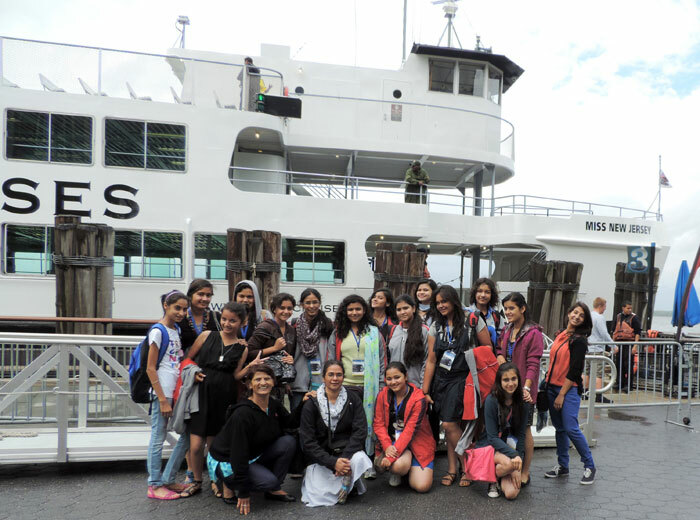 On June 10, 2013 seventeen students accompanied by Sr.Gracy and Mrs. S.Sharma proceeded for a very exciting and knowledge filled trip to the United States. 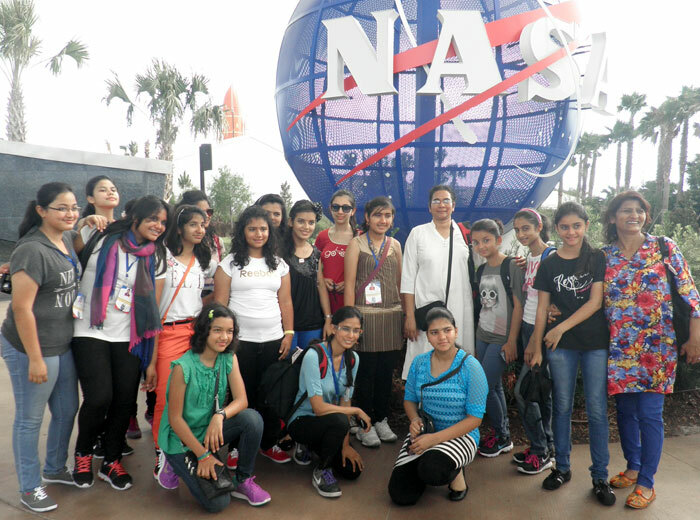 On arrival at Terminal 3 of Indira Gandhi International Airport Delhi they were joined by students from CJM Ambala. After a 15 hour flight, the bubbling enthusiasm of all the CJMites was answered by the American flag fluttering cheerfully outside Washington DC’s International Airport. Students from CJM Waverly and our mentor Ms. Christine joined them and took them for a city tour. They reached the Pennsylvania Avenue where they saw all important political buildings of the country including the Capitol Hill and White House. Their first day’s schedule also included the Lincoln and Washington Memorials. The next day they visited the Smithsonian’s Aerospace Museum where they saw the first plane built by the Wright Brothers, the model of Hot Air Balloon by Montgolfier brothers and artefacts from various Apollo missions including a Lunar Rover and Apollo II Command Module-Columbia which was used by Neil Armstrong, Edwin Aldrin and Michael Collins. Late in the afternoon they left for New York city. The Big Apple gave them chills from even miles away when they first saw the New York skyline. The next day was jam packed with visits to all the significant landmarks in New York – Statue of Liberty, Empire State Building, Times Square, The Fifth Avenue, Manhattan Borough, World Trade Centre site and the famous Central Park. CJMites could be seen clicking photographs while simultaneously they raided shops and came out with bags exploding with the most interesting, latest and unusual clothes, chocolates, souvenirs, etc. Their next destination was “Orlando’s” which was the most awaited section of the entire trip. 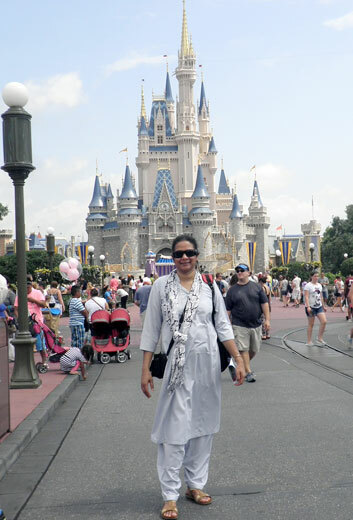 Their first day at Orlando was spent in “Disney World” where they witnessed the famous Disney parade and enjoyed various rollercoaster and other rides. 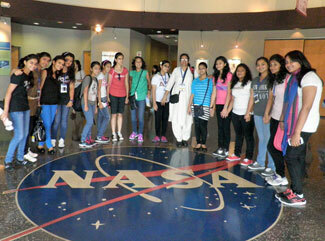 The next two days they were immersed in space exploration at NASA’s Kennedy Space Center. They saw the massive vehicle assembly building, the gigantic crawler transporter, NASA’s two launch pads, the shuttle landing facility and the world class Apollo/Saturn V Center. In the evening they went to the Cocoa Beach where they relaxed and rejuvenated themselves. 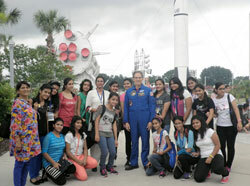 At NASA, they had lunch with an Astronaut, Sam Durrance who had been on two space shuttle missions STS-35 and 67. They also met Astronaut Tom Jones who had worked with Kalpana Chawla at the IMAX Theatre, at NASA .They witnessed a documentary on the installation of International Space Station . Their final day in the States was the best. They visited The Universal Studios and saw Spiderman’s 3D and Hulk’s thrilling roller coasters and the enchanting Magic World of Harry Potter. They left for Miami early next morning. 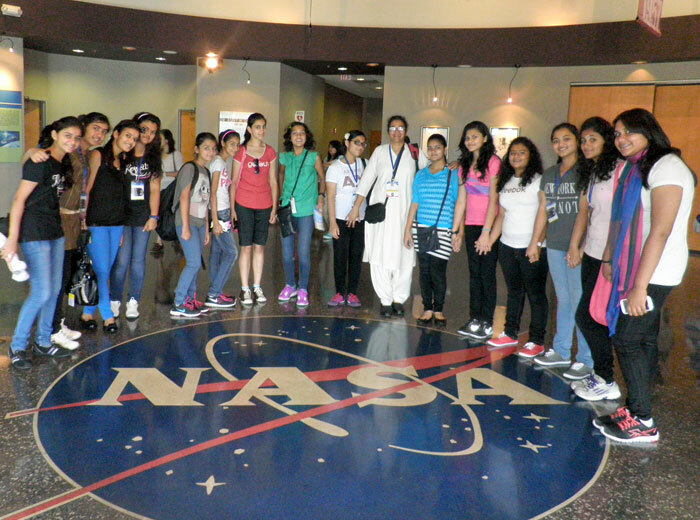 They boarded their flight from Miami International Airport to Delhi and reached the school safely on 21st June, 2013. The trip was unique, enjoyable and educative for all concerned.